Lots of Big Redfish Today at Cape San Blas! Al, Fuzzy and Cat caught the heck out of the big redfish today fishing out of Cape San Blas!! Posted in Fishing Charter Pictures	| Comments Off on Lots of Big Redfish Today at Cape San Blas! Posted in Fishing Charter Pictures	| Comments Off on Atlanta Couples Catchin’ Redfish!! St Joe Bay with Ron and Eric! Some gorgeous redfish for Ron and Eric on St Joe Bay!! Posted in Fishing Charter Pictures	| Comments Off on St Joe Bay with Ron and Eric! Bachelor Party Redfish Action on St Joe Bay! Hammered the reds today for this Thomasville bachelor party crew! Great guys and a lot of fun! Posted in Fishing Charter Pictures	| Comments Off on Bachelor Party Redfish Action on St Joe Bay! A fun Morning on St Joe Bay! Lots of big sharks, several reds and a nice flounder this morning on St Joe Bay! Posted in Fishing Charter Pictures	| Comments Off on A fun Morning on St Joe Bay! California Boys Take On Indian Pass! Despite the high winds and muddy water, Craig and John from California scored big at Indian Pass!! 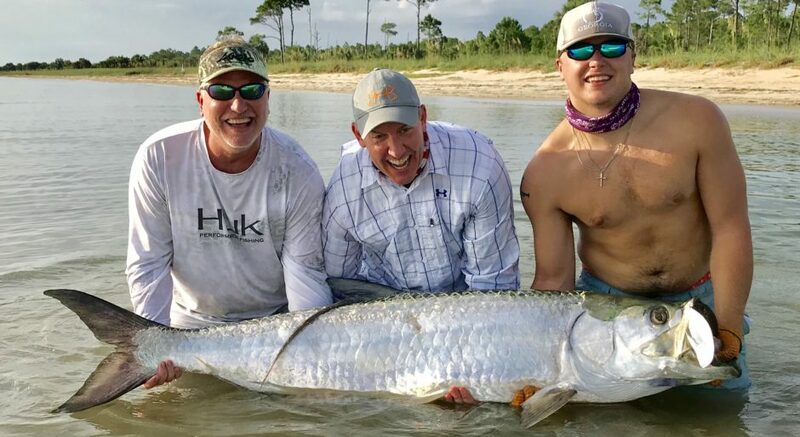 Posted in Fishing Charter Pictures	| Comments Off on California Boys Take On Indian Pass! Triple Tail Charter at Indian Pass! Saw several triple tail and caught some nice ones on my charter today at Indian Pass! Posted in Fishing Charter Pictures	| Comments Off on Triple Tail Charter at Indian Pass! Wow the redfish bit good for Adam and Sally!! We also had a visitor! Posted in Fishing Charter Pictures	| Comments Off on Redfish and Gators Today! Great ladies in the morning and a gentleman in the afternoon! These Texas boys put it to some big redfish today!